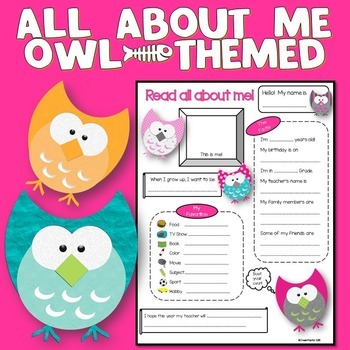 This 'All About Me Sheet' is an owl-themed get-to-know-me sheet that can be handy during the first week of a new school year. This owl theme sheet can be used over and over for many years to come. You and your students will surely enjoy! If you want MORE back to school activities, purchase Back to School Bonanza. Check out this classroom decor set with the same theme: Owl Theme Classroom Decor Bundle.